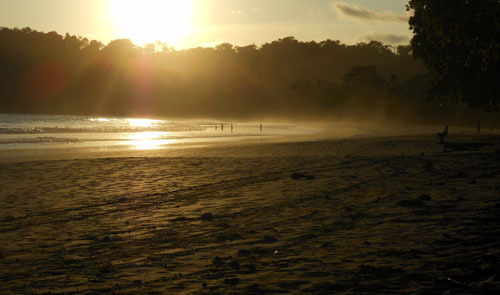 In August 2006 I spent a month in Quepos doing my TEFL/TESOL course and knew that I would one day return to this beautiful part of the world. Nearly 6 years later I arrived feeling a little apprehensive about how much it might have changed and as much as I would like to say that it hadn’t, it inevitably had. The first big change was the town itself. You know deep down that the minute you see a sign advertising the next town has a Subway or Pizza Hut that it will not be a nice quiet town. 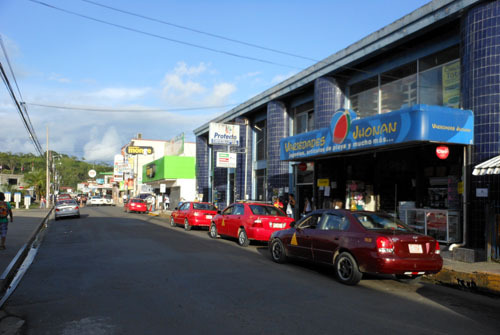 Driving through Quepos I was taken aback by the sheer number of cars on the road as well as the back to back signs now competing for your eyes down the streets. Despite it not having really grown in size, the once small, quiet town now seemed instead to have been taken over by shops and hotels. The big shock came as we headed to our pre-booked hostel. I couldn’t quite believe it when I saw it but the Pura Vida hostel now resides in the building of my old school. To say it was strange walking into your old school and seeing it converted into a hostel is an under statement and a half! 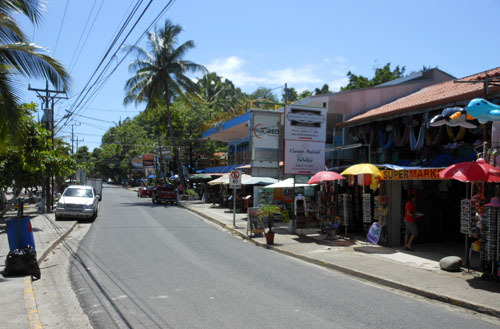 Once checked in I couldn’t resist driving down to Manuel Antonio and seeing just how far the changes had gone.The once quiet road was now buzzing with traffic and just before the half way point to the beach I started to notice the increase in hotels and restaurants. The shocks came with the large complex resorts that now replaced the once lush beautiful road side forest. I would say that the buildings had easily doubled in numbers in 6 years. 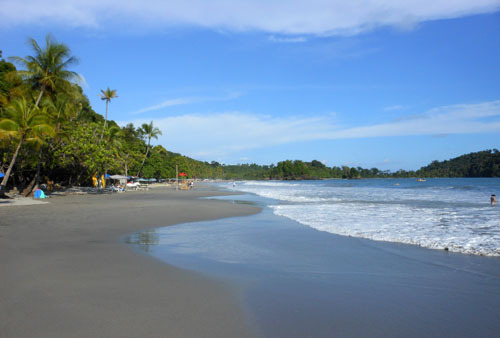 When we hit Manuel Antonio beach 10 minutes later I could see that it too had changed and unfortunately not for the better. The once quiet surfer’s beach was covered with sun loungers and parasols, the road had parking marshalls competing for you to choose their parking site, something that never even existed before, and disappointingly the once colourful market stalls that ran along the beach front were nowhere to be seen. We sat at Marlin’s restaurant, one place which had strangely not changed, and took in our surroundings. It was still a beautiful place with the unmistakable stretch of coastline melting into the forest, but it had lost that tranquil feeling. 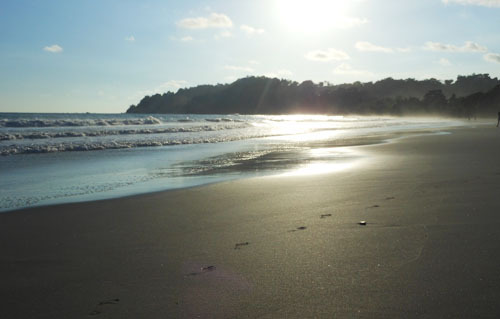 We stayed in Quepos for a few days and enjoyed sunsets at the port, walks on the beach in Manuel Antonio, revisited the national park, did a snorkelling trip and even splashed out for a dinner at El Avion restaurant, something which was also still there. Yet despite everything I could not re-kindle the happiness and peacefulness I had felt from the first time around. Our time in Quepos did make me all the more appreciative of having experienced the area before mass tourism arrived and glad I had not waited any longer before returning as unfortunately there seemed to be plans for even more resorts to be built.